NEW YORK, Feb. 6, 2019 /PRNewswire/ -- The most common causes of spinal stenosis is "wear and tear" arthritis or Osteoarthritis of the discs between the vertebrae and spinal columns. Rising prevalence of osteoarthritis is expected to propel the growth of spinal stenosis implants market. According to World Health Organization, an estimated 10% to 15% of all adults aged over 60 suffer from a certain degree of OA, and the prevalence is higher among women than men. Across the EU member states, the prevalence of diagnosed OA varies from 2.8% in Romania to 18.3% in Hungary. Ageing population and growth in related lifestyle diseases such as obesity are the main factors contributing to the increasing prevalence of OA. Growth in the prevalence of OA is expected to drive the global spinal stenosis implants market in the forecast period. PMR has segmented the global spinal stenosis implants market by product type, material type, by surgical procedure and end user. 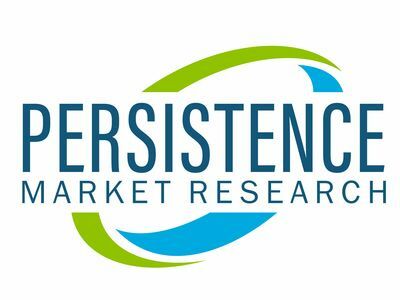 The spinal stenosis implants market, by product type, is segmented into interspinous spacer devices for spinal stenosis implants and pedicle screw-based stabilization systems for spinal stenosis implants. Interspinous spacer devices for spinal stenosis implants are further segmented into static interspinous spacer devices for spinal stenosis implants and dynamic interspinous spacer for spinal stenosis implants devices. By material, the spinal stenosis implants market is segmented into metallic spinal stenosis implants and biomaterial spinal stenosis implants. By surgical procedure spinal stenosis market is segmented into spinal stenosis implants for decompression surgery and spinal stenosis implants for stabilization surgery. Spinal stenosis implants for decompression surgery is further segmented into spinal stenosis implants for Foraminotomy, spinal stenosis implants for Laminotomy and spinal stenosis implants for Laminectomy. Spinal stenosis implants, by end users, are segmented into Hospitals, Ambulatory Surgical Centers and Specialty Orthopedic Clinics. Region-wise segmentation includes North America, Latin America, Europe, Asia-Pacific excluding China, China and Middle East & Africa. The biomaterial spinal stenosis implants segment in the Spinal stenosis implants market is expected to witness a significant growth during the forecast period. The information presented in this review is based on a PMR report, titled "Spinal Stenosis Implants Market Segmentation By product type - Interspinous spacer devices; Pedicle screw-based stabilization systems; material- metallic spinal stenosis implants and biomaterial spinal stenosis implants; surgical procedure - decompression surgery, stabilization surgery- Global Industry Analysis, Size, Share, Growth, Trends, and Forecast 2018 - 2026."